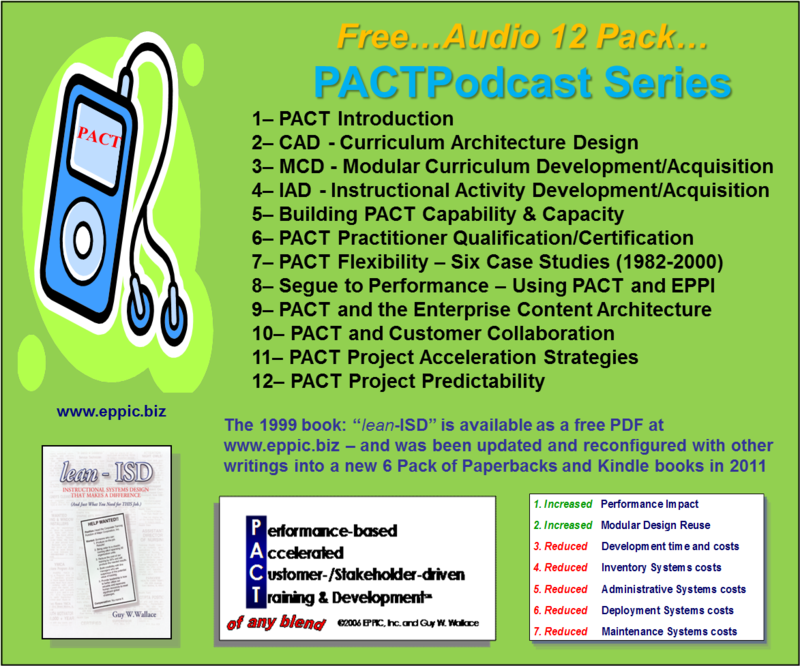 For Free: Audio Podcasts – including 12 on lean-ISD, 4 on T&D Systems View, 4 on Management Areas of Performance, several done with Thiagi, and others of Guy done by others – and shared here also on their behalf. Click to hear and/or download. Click here to visit The UnReasonable Gardner web site. This is part 1 of a two part series where Thiagi and our friend, Guy Wallace dive deeply into a discussion about their different instructional design approaches. Guy, as many of you know, has been an instructional designer and performance improvement consultant nearly as long as Thiagi. They have known each other for decades and over the years have had many formal and informal dialogues about what they do differently, and what that they have learned from each other. The idea for this series came from a session we did several years ago at ISPI in Dallas, where Thiagi and Guy did a session together debating style, substance, process, and results. Rather than a debate, however, the session turned into a masters’ class hosted by two of the greats. Our hope was to re-capture some of that here. Published July 7, 2010. Episode 9: The Guy Wallace/ Thiagi Discussions, Pt. 2 (duration: 40:38)Here is the continued discussion between Thiagi and Guy Wallace. Enjoy. Published July 7, 2010. In our second episode, Matt interviews Guy Wallace, long-time performance consultant about work process analysis and process improvement. Guy walks Matt through a detailed explanation of his Curriculum Architecture Design (CAD) system. Published February 10, 2010. Links to 4 Podcasts interviews Guy has done with SyberWorks here.